Multipet 12" Santa Christmas Loofa Just $5.99! Ships FREE! You are here: Home / Great Deals / Multipet 12″ Santa Christmas Loofa Just $5.99! Ships FREE! Multipet 12″ Santa Christmas Loofa Just $5.99! Ships FREE! Don’t Forget your furry babies at Christmas! Get ta 12″ Santa Loofa for just $5.99 Shipped! 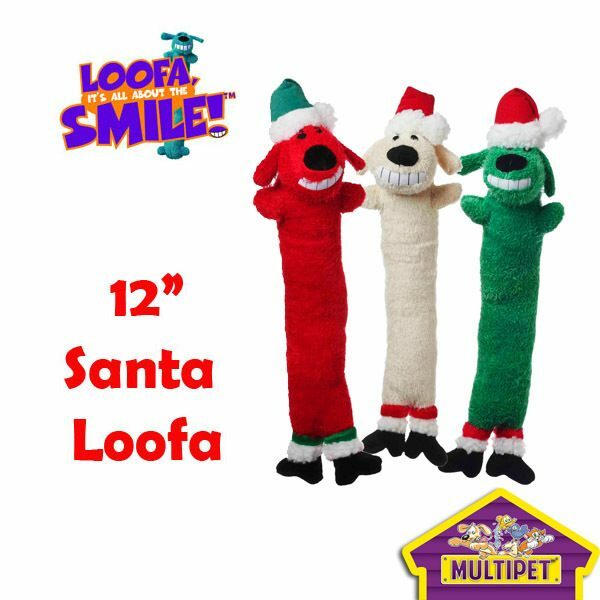 Multipet’s famous Loofa dog toy line now has fun characters for Christmas! Multipet Loofas are well known for being great fetch toys due to their very throwable shape but they also make great chew toys with multiple squeakers!